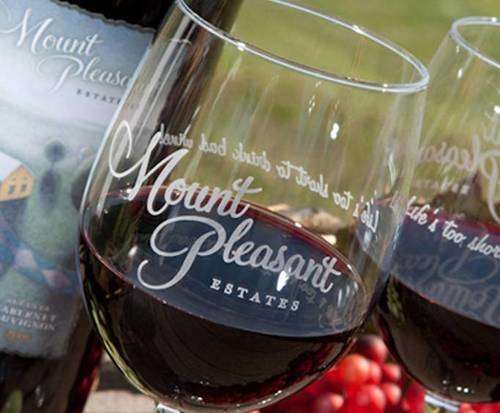 Mount Pleasant Winery is one of the most visited attractions in Branson that offers Wine Tasting & Food Pairing Class to visitors who want to learn how to pair the wines with food and how they are made. In this class, you will learn about some of the wines made at Mount Pleasant’s 85-acres of grapevines located in the heart of the Augusta Appellation Wine District. You will learn how to properly taste wine by using the swirl, sip and savor process. You will also get to pair wine tasting with cheese, sausage and bread and enjoy the whole wine tasting experience. Mount Pleasant Winery is the oldest and the most well established winery in Augusta. The winery grows 12 varieties of grapes on 78 acres. It has also won numerous prestigious awards and achieved high point-ratings. In April 2008, Mount Pleasant Winery opened a second location in Branson, which includes a 9,200-square-foot bottling and wine tasting experience. This winery attraction in Branson offers patrons wine tasting and food pairing class. At the winery, you’ll not only get to try their fine wines and food, but also a chance to bottle your own wine, get a souvenir wine glass and more. Some of the wines that are offered for tasting include red wines and white wines, Cabernet Sauvignon, Merlot and Chardonnay. Only guests aged 21 and older are allowed to participate in this wine tasting tour. In this wine tasting class, you will get a complimentary wine goblet, the opportunity to bottle your own dessert wine, and a tour to the winery’s art gallery. As the wine tasting progresses, you’ll feel that your wine tasting experience is more enjoyable as the class starts to focus into the basics of wine tasting. This crash course on wine tasting at Mount Pleasant Winery is called Wine 101 Class. It’s a popular and affordable way to combine a relaxing wine tasting experience with a basic education in wine tasting. During the one-hour wine tasting and food pairing class, you will learn the five S’s of wine tasting, and you will also be treated to a Cheese and Chocolates Pairing. You will learn how wine is made and sample delicious wines and chocolates in this immersive wine tasting class at the Mount Pleasant Winery. Throughout the wine tasting experience, you will learn a variety of helpful tid bits about wine, including how to properly taste wine through the five ‘S’s’ - See, Swirl, Sniff, Sip, and Savor. As the class continues, you will also learn what types of wine go with certain types of foods, cheeses or chocolates. After you have learned about wine stuff from the class, you’re ready to host a party and you’ll be able to serve your guests the right type of wine and its ideal food. Mount Pleasant Winery is one of the most fascinating attractions in Branson where you will learn how the wines are made and how to pair them with food.